A classic cheese done the ahimsa way. Medium sharpness and full of flavor. Ingredients: Whole milk, cultures, vegetarian rennet, salt. I think this cheese is great, and not just because I made it, but because I know that the cows are well-fed and happy. We love this cheese! And the only reason we allow ourselves to include cheese in our diet is that the cows, male as well as female, are given full, happy lives. 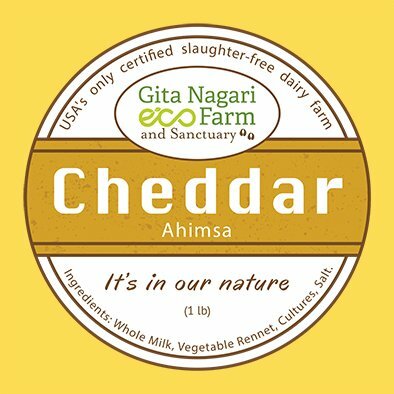 Our daughter Govinda Devi (who is 17 and really wants to support the Ahimsa Philosophy) loves your products, especially the Cheddar. Thank you for all your wonderful work! 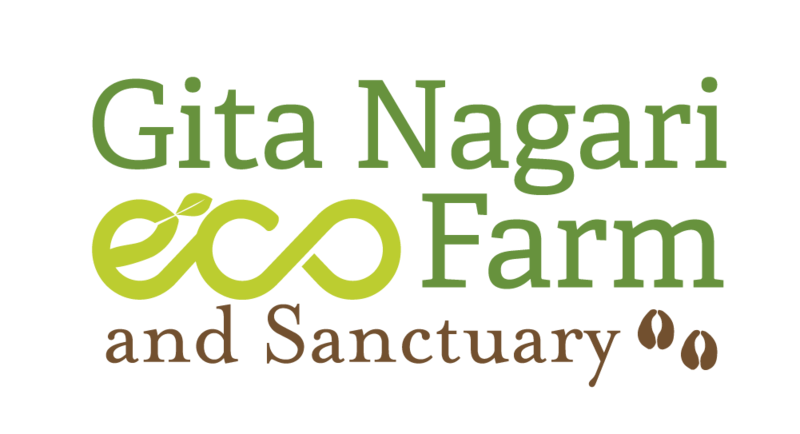 we have reason to become vegetarian from vegan 🙂 we love now having great enchiladas, Pizza, pasta etc from these cheese.. i buy bulk and keep in frozen section ..
Amazing service in the Gita Nagari Farm. Best cheese I have tasted ever. Makes me wonder what kind of cheese we have been consuming all life. Really appreciate the care for the cows. Result is in the product. Online order was smooth and packaging , delivery were excellent.